This book was recommended to me by @acaseforbooks on Twitter. She truly knows her stuff where books are concerned and I am delighted to say that I absolutely loved it! 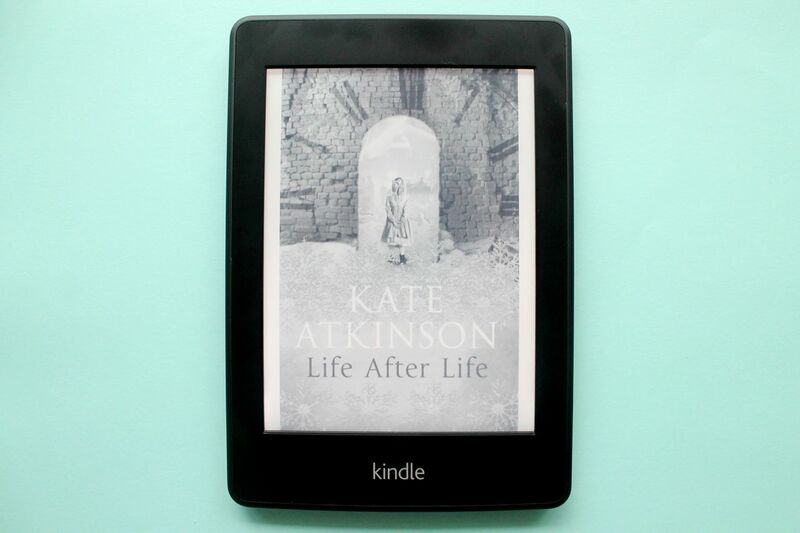 Life After Life explores the idea that a person has infinite lives, when they die they are reborn, and depending on the decisions they make each time, their lives can take all sorts of twists and turns. Our protagonist is Ursula, and we meet her from the moment she is born in 1910. Ursula dies repeatedly, in many different ways, but each time she is allowed to begin again (unknowingly) and make decisions which will alter her future each time. To begin with, it is heartbreaking reading the various deaths of a child that you have grown quite fond of. I found myself willing her away from any danger, but the inevitable always happens at some point. However, as Ursula reaches adulthood I began to feel hope with each death, as it marked a new life, and a possibility that she will finally find happiness. As we learn more about Ursula, so she learns more about herself. The final chapters are quite adventurous, and you might recognise a name or two from the history books! I really loved this aspect, that Ursula could change the course of history not only for herself, but for the whole world! Each life has it's fair share of good and bad, and I feel that Atkinson encourages you to ask the question, in which life is she happiest? If you have read this book I would love to know which life you felt Ursula was happiest, and which life you enjoyed most? If you haven't read this book yet, I think you should! You can get hold of it here. I'm thinking about reading some of her others. Are there any you would reccomend? Oh this is definitely one for the to-read list! Atkinson is a great story teller. I felt like I knew the characters and was sorry to leave them when the book was finished.